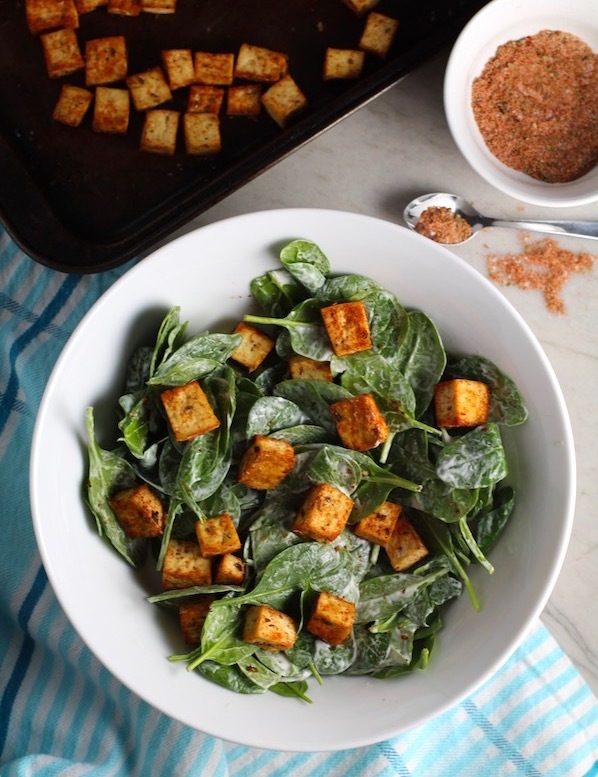 Spiced & Roasted Tofu Croutons are seasoned and toasted for the perfect addition to any salad, pasta, rice, or soup! 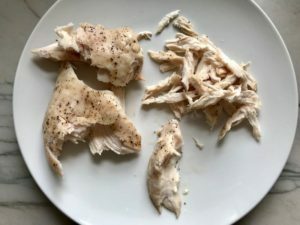 They get a roasted, almost nutty flavor with a salty, smoky seasoned crust and a chewy bite. 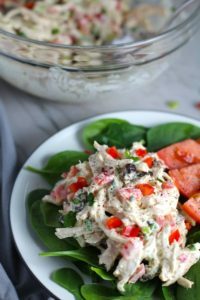 Super easy to make, low carb and great source of protein! 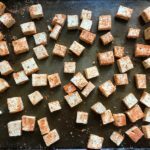 Tofu bites were an absolute favorite for my girls when they were little. 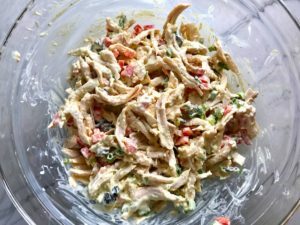 They are the perfect little soft bites for toddlers and kids! 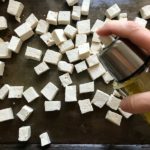 Roasted Tofu Croutons: Awesome Alternative to Bread! 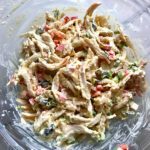 These are wonderful alternatives to bread croutons, as they are low carb, gluten free and packed with health benefits. 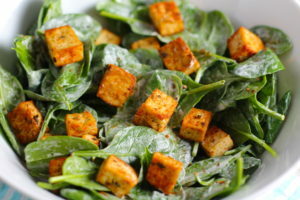 Tofu is low in calories and is an excellent source of iron and calcium. 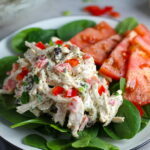 It is a complete protein as well, meaning that it includes all essential amino acids. 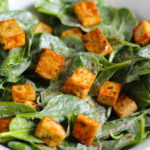 To learn more about all of the health benefits of tofu, check out this article from MedicalNewsToday.com. 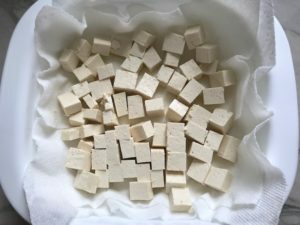 Want more Tofu? Try this AMAZING Ginger Teriyaki Tofu Noodles recipe. 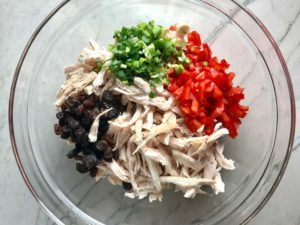 You are busy during the week, so these are the steps that you can do in advance so dinner is prepped and you just need to cook it! 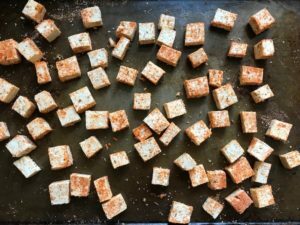 There are really only 3 simple steps to this recipe: 1) Prep the Tofu 2) Make the Spice Mixture, then 3) Spice up the Tofu and Cook it! Steps 1 & 2 can be done ahead. 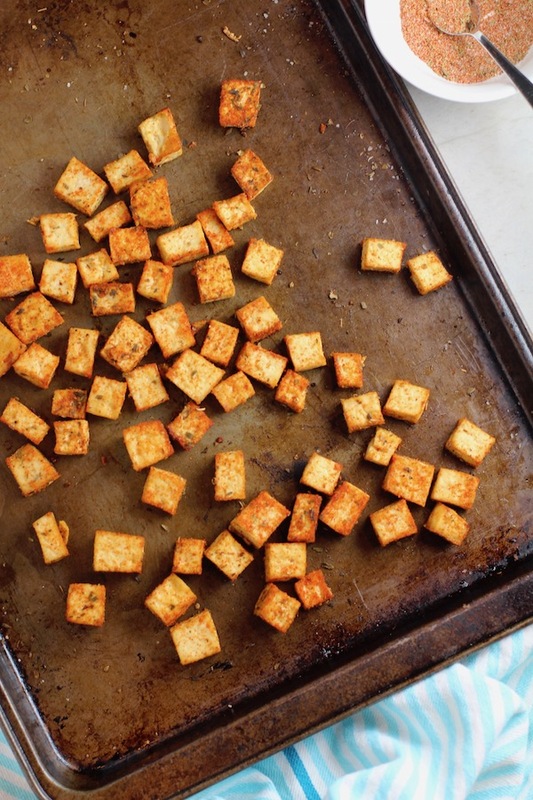 Actually, the tofu can be cooked ahead and reheated too! Open the tofu package and drain out the water. 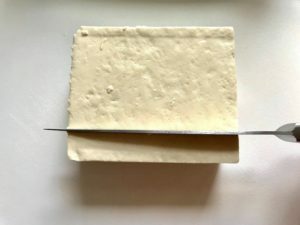 Then place on a cutting board and start to slice it into bite-size rectangle or square pieces. 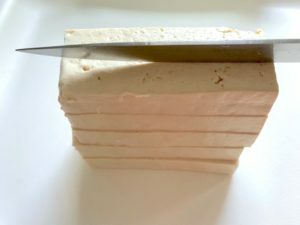 I do this by first making 5 slices across the length of the tofu block. 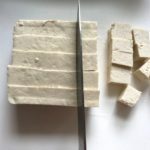 Then slice them all in half, so you have 10 tofu ‘sticks’. Finally, slice each stick into bite-size pieces. I usually slice across this last time 5-6 times, yielding 50-60 pieces. 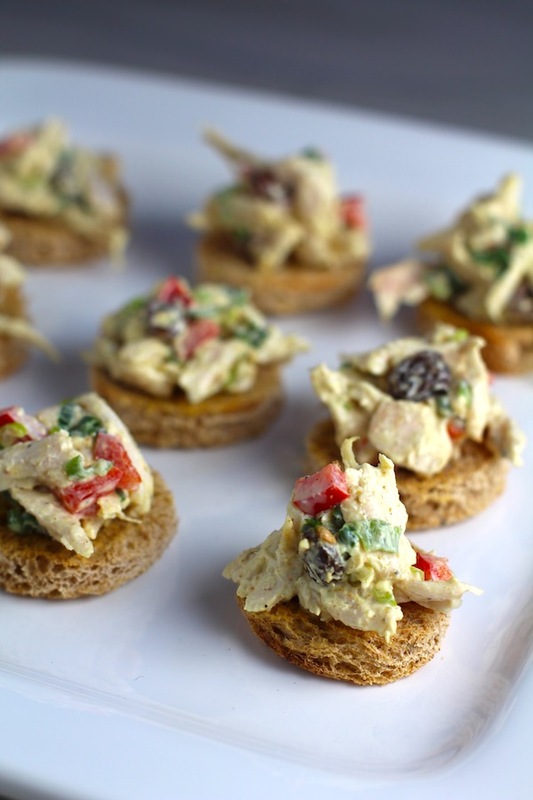 Place all pieces in a single layer on paper towel in a large casserole dish. 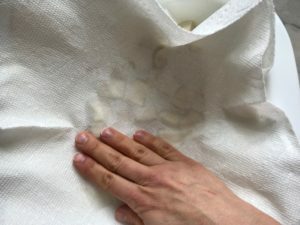 Then cover with more paper towel and pat to soak up the moisture. 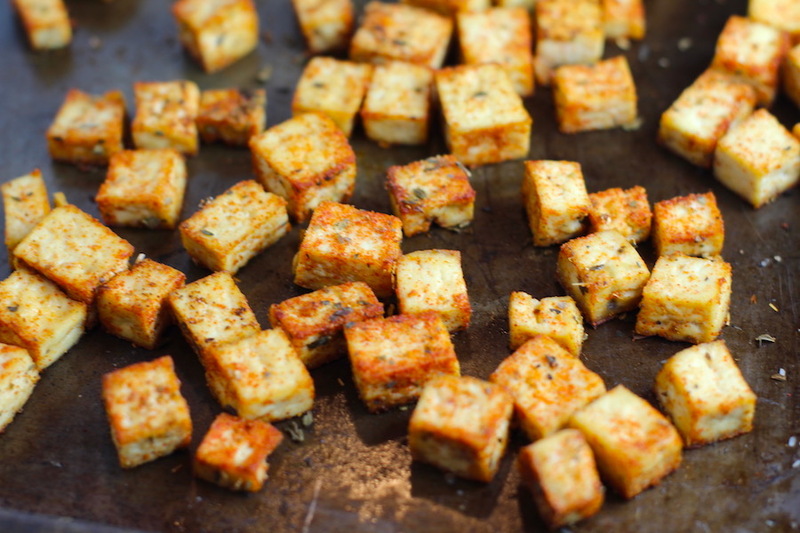 Let the tofu pieces sit on the paper towel for at least 1 hour to soak up the moisture. 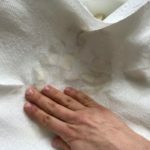 If you are able to, change out the paper towel and let soak on new paper towel for another hour. 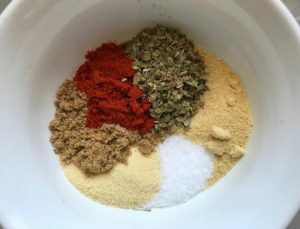 Make the spice mixture by adding all seasonings/spices to a small mixing bowl. 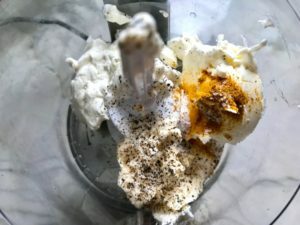 For this recipe, I love to use paprika (I love hot hungarian vs. smoked), ground coriander, onion powder, garlic powder, dried oregano, and salt. 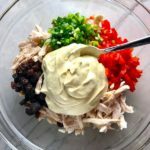 You can certainly use your favorite seasonings. 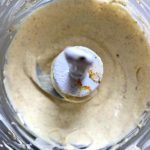 Then mix to combine. Spray or brush olive oil on the pan. 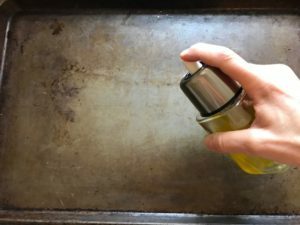 I love to use the Sonica Organics Oil Sprayer for coating pans with olive oil because a little goes a long way and it’s non-aerosol (no toxins or propellants) and is so easy to pump, then spray. Then add the tofu and spray the top with olive oil or drizzle oil over top and toss with fingers to coat. 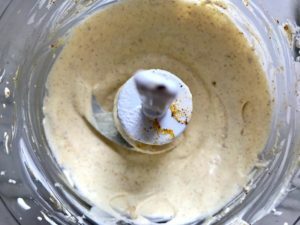 Sprinkle the spice mixture over top and then toss to coat. Sprinkle more as needed until all sides are spiced. Roast in the oven for 20 minutes. 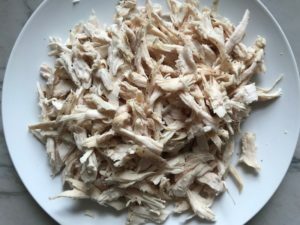 Then remove and flip each piece over and roast for another 10 minutes. That’s it! 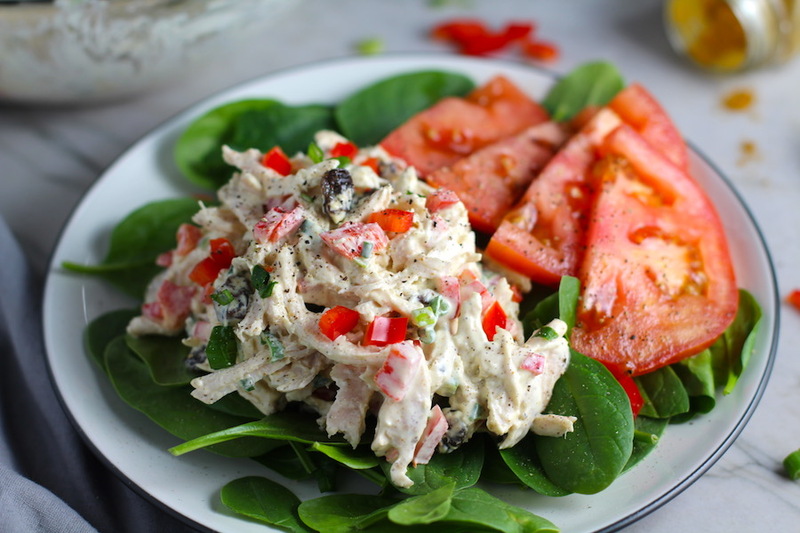 Serve over salad, pasta, rice, soup, or just snack on alone! 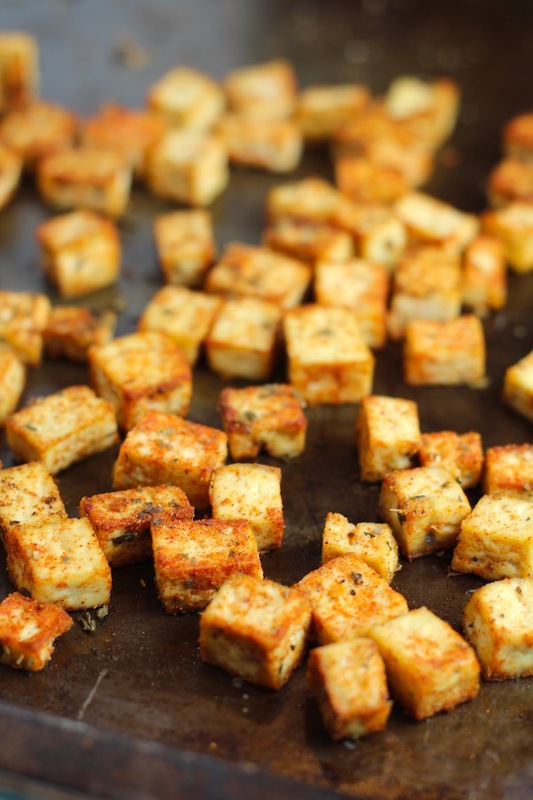 Roasted Tofu Croutons are seasoned and toasted for the perfect addition to any salad, pasta, rice, or soup! 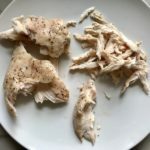 They get a roasted, almost nutty flavor with a salty and smoky seasoned crust with a chewy bite. 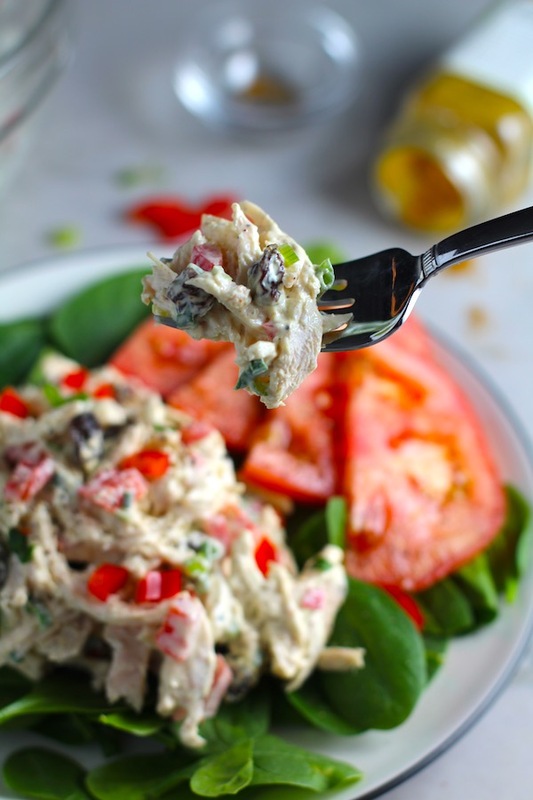 Super easy to make, low carb and great source of protein! 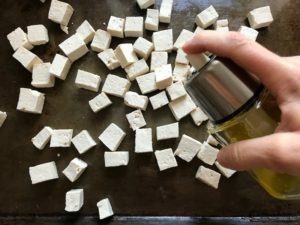 Open the tofu package and drain out the water. 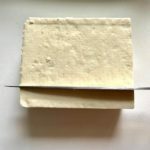 Then place on a cutting board and start to slice it into bite-size rectangle or square pieces. 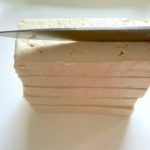 I do this by first making 5 slices across the length of the tofu block. 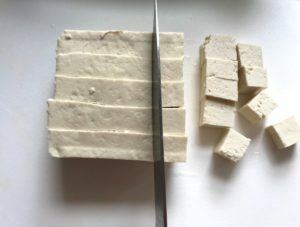 Next, turn the slices on their side so you can slice them all in half, so you have 10 tofu 'sticks'. 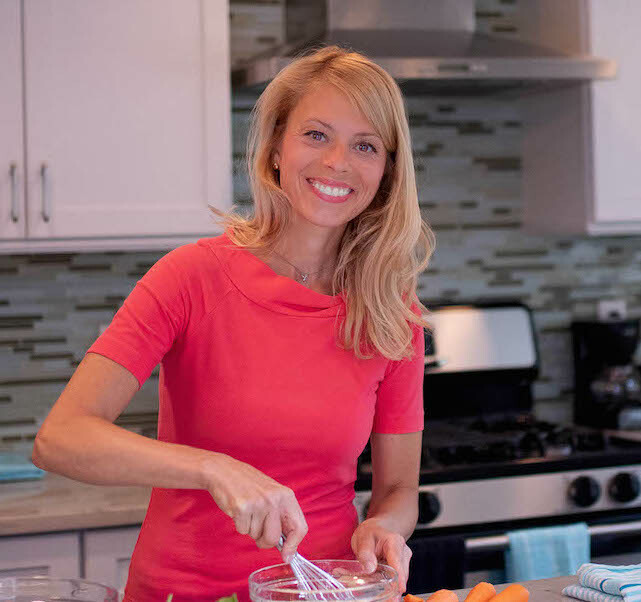 Finally, slice each stick into bite-size pieces. I usually slice across this last time 5-6 times, yielding 50-60 pieces. 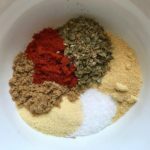 Make the spice mixture by adding all seasonings/spices to a small mixing bowl. Then mix to combine. Spray or brush olive oil on the pan. 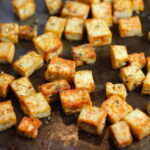 Then add the tofu and spray the top with olive oil or drizzle oil over top and toss with fingers to coat. That's it! 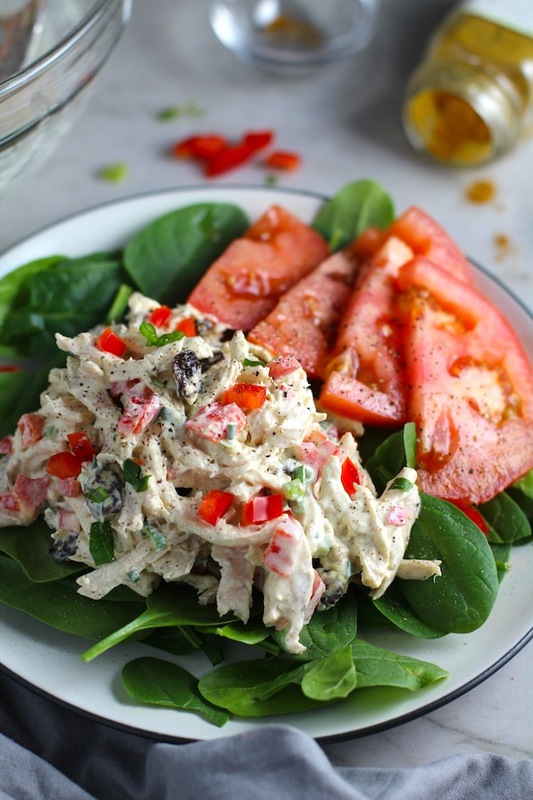 Serve over salad, pasta, rice, soup, or just snack on alone! 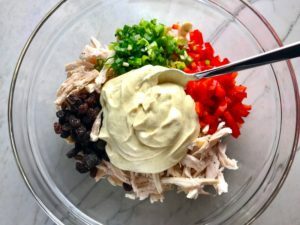 Note, this Spice recipe likely makes more than you need, so save it for seasoning chicken or steak or hamburgers or mac n cheese or veggies! 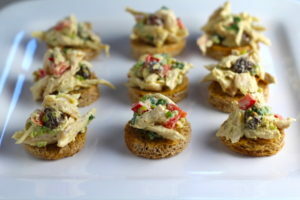 The serving size is based on approximately 8-10 pieces per person.